Tracing is perhaps one of the biggest challenges for Silhouette users. Tracing in Silhouette Studio is one of those things that takes practice because every design and every trace will be different. There's no exact formula for making the perfect trace that works across the board. That's especially the case with tracing multi-colored layered designs. 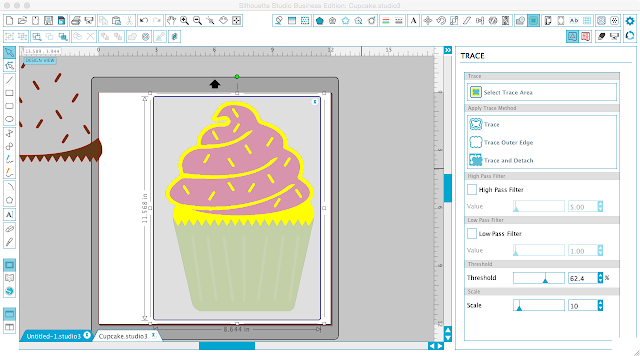 One thing to keep in mind with tracing layered images is you need to combine a lot of Silhouette Studio tools and build on the basics that you know about compound paths, fill colors, grouping and ungroup, edit points and the Modify tools to successfully trace a layered image. For this reason - please know this should be considered an advanced Silhouette tutorial. Why not just use trace and detach? Trace and Detach is one of my favorite tools - for print and cut. 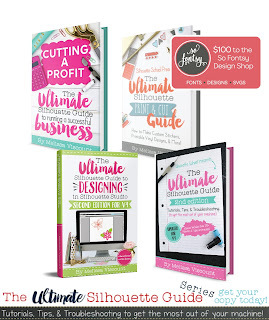 But when you want to layer vinyl or heat transfer vinyl or give paper dimension, as many Silhouette Crafters do, trace and detach literally falls flat. know the process will not be exactly the same for every image you try to trace - the techniques, however will be. Let's walk through this multi-layered tracing tutorial using this cupcake as an example. While you're tracing this image make sure you do not re-size any of the layers or the original at all! 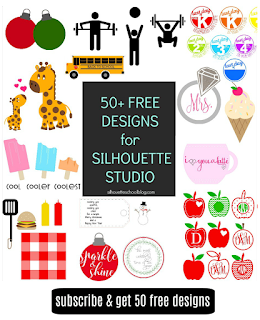 By the way, this design is from The Hungry JPEG and like many of the designs in their bundles, if you download the PNG (because you don't have Silhouette Studio Designer Edition and can't use the SVG) you will need to trace to break up the image into parts. Start by bringing your design into Silhouette Studio and opening up the trace tool. What you are going to do is trace several times. What you are NOT going to do is try to trace this entire thing in one foul swoop. It will never work. Click "Select Trace Area" and draw a box around the design. Just part of the design gets a yellow line around it right off the bat. In this case it's the brown areas with a little of the green. If I uncheck "High Pass Filter" as I almost always do, now only the brown areas are filled in yellow. This is exactly what we're looking for. Click "Trace" and then pull the trace away from the original image. Move it to the side and fill it in with brown using the Fill Color tool so you remember which layer it is. Now click the "Select Trace Area" again and, again, draw a selection box around the design. This time we want to focus on another section: the icing. Again, uncheck High Pass Filter, but this time adjust the Threshold bar a little bit until another section is filled in yellow. Click "Trace" and move the layer away from the original design. 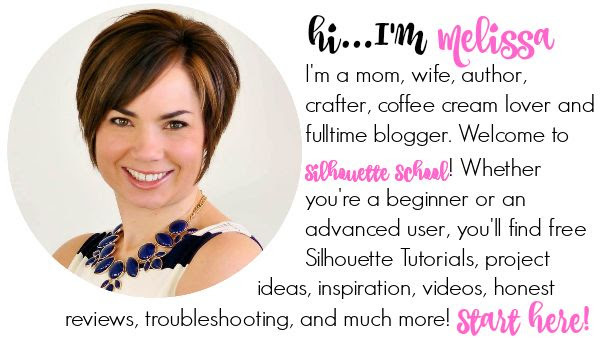 This was actually a two for one...and this is where your knowledge of how other Silhouette Studio tools work will come in handy. If you right click > release compound path you will gain access to two layers. First, delete the sprinkles - you already have them. Then separate the two icing layers and fill each with color. In order to curve the bottom of the darker icing layer you can use the brown layer and "Subtract All." First, bring the brown layer to front. Then release the compound path of the brown layer and de-select the sprinkles. Select only the bottom brown part and the pink icing at the same time. Go to the Modify window and click "Subtract all." Move the icing layer away and ungroup it. Delete what you can. Whatever is still attached to the main icing piece can be deleted by deleting individual edit points. Double click the design to access the edit points and then start deleting them. If you're not sure how to delete multiple edit points in out foul swoop, check out this Silhouette Studio shortcut! Click 'Trace' and again, repeat the process as necessary: release compound path (2) > ungroup > separate > modify (3) > delete (4). Remember, you may not need all of these steps depending on the image you're tracing. And finally, after you've traced all of the sections of your design, you should have something like this...which can be now used to cut on vinyl, paper, heat transfer vinyl or whatever layered design you're going for! Thanks so much for the instructions and the video! I have struggled with this and spent HOURS doing what you have accomplished in minutes. I can't wait to get back to my PC and try this!! Thanks for the step by step instructions. Tracing is one of my weaker skills when using the design software. Thanks so much!! Have been afraid to try this. You make it look so easy that I am gonna try this! Thank you!! I know this probably a dumb question. 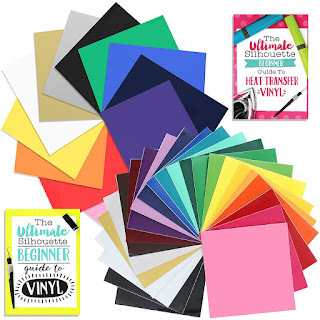 However, how do you get get it to cut the vinyl in all those colors? Because when I purchase vinyl it is a sheet with one color. I don't follow. Melissa may have another way, but here's what I do. 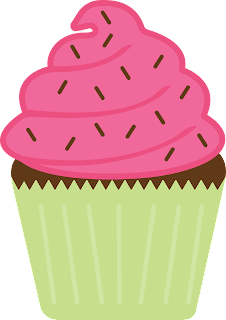 For example, if you lay out all the pieces on one 8 1/2 x 11 page for a small cupcake and have grid marks on, you can see exactly where you want each color. I think it helps to print a copy as well to figure out the positioning. 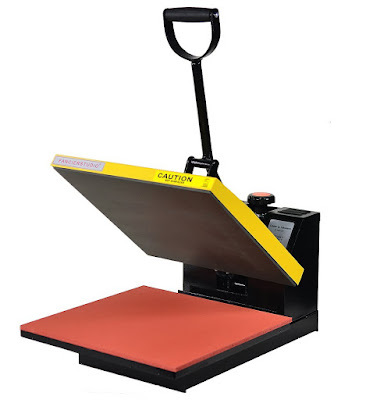 Cut pieces of different colored vinyl a bit larger than what is needed and position them on the cutting mat. You need to leave a bit of space between the design pieces to allow space for the extra vinyl around each piece to be cut. Hope that makes sense. I'm a newbie and I just put each piece on separate pages to cut. When I'm done cutting, I put it all back on one page to save it as one doc. Move all but one color off of the 'page' where it cuts and over in the margin around the cut area. Cut that one and rearrange so only the next color is inside the cut area. To make sure I don't lose a piece I always keep an 'original' over the left of my cut area. I copy everything over to the right of the cut area and as I move each color on to the mat and cut it then I delete it from the mat and move the next one over. That way you still have all the original design to the left in case you accidentally resize something or delete it before you realize it didn't cut properly, etc. You lost me a little at "bring the brown layer to the front". I duplicated the brown layer and then lined it up as best I could on the dark pink. Is it hard to deal with such tiny pieces like the sprinkles or did the cupcake just make good tutorial for learning this technique? Also, for the question above about using different colors, there is another tutorial on how you pause the Silhouette to change vinyl colors. 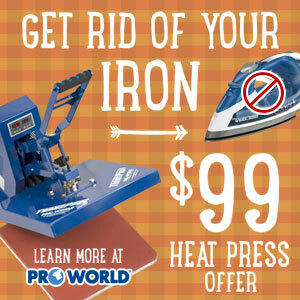 Or is it easy enough to stick the different colored vinyl to sections of your mat and cut it all at once? This clears up so many of my problems. Thanks so much for the tutorial. Wow this was great.I've never understood how to use"subtract all". I learned a lot on this one.Thanks\. 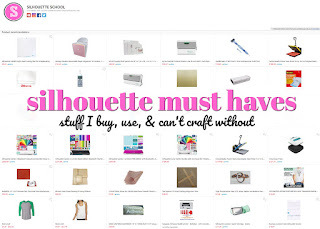 It is hard to read the blog with the pink bar saying "Have a Silhouette based business". How do I move it from the screen? I would simplify the layering by making the brown all one big piece and cutting the sprinkle shapes out of the pink frosting. Layer the pink, with holes in it, over the brown for quicker layering! Thank you so much! I really needed this lesson. Finally, I was able to trace a design that I have spent hours trying to trace.